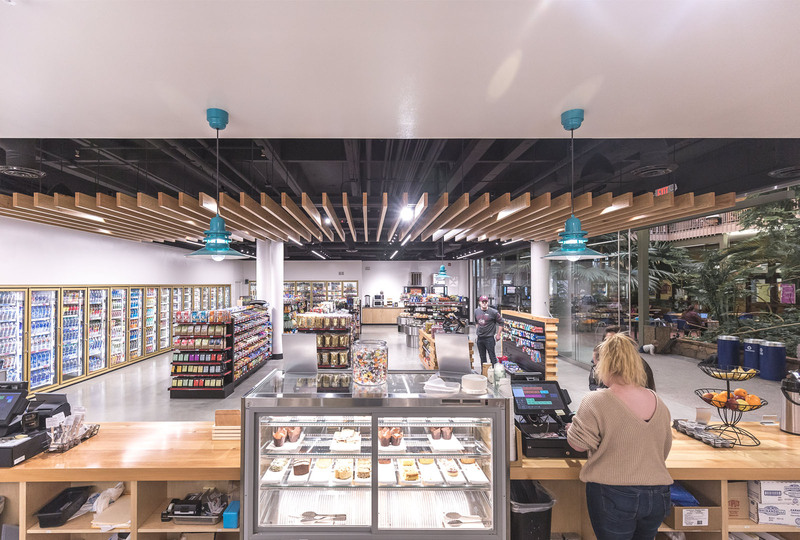 We worked with the University of Montana campus dining services to remodel their University Center Market. 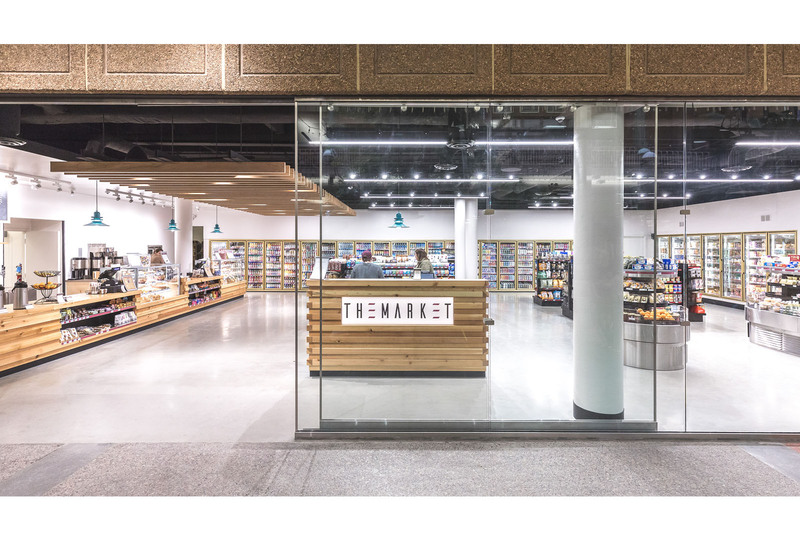 The new layout opens up the space to be more inviting, accommodate more products, and offer a streamlined checkout process. 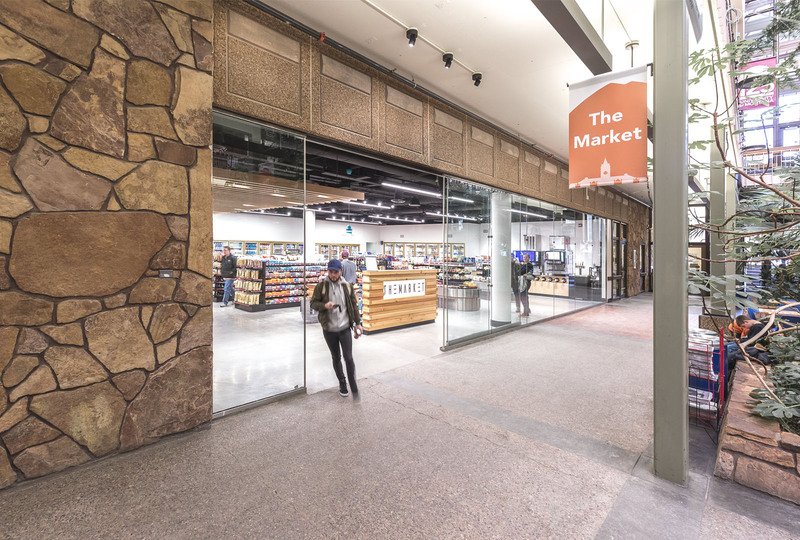 Located in the UC, the market is adjacent to a three-story atrium space. The minimally detailed, floor to ceiling glass wall and ten-foot sliding glass door provide a welcoming atmosphere of transparency and openness while also providing security after hours. Custom casework was made from salvaged fir joists from the deconstructed Missoula Mercantile. 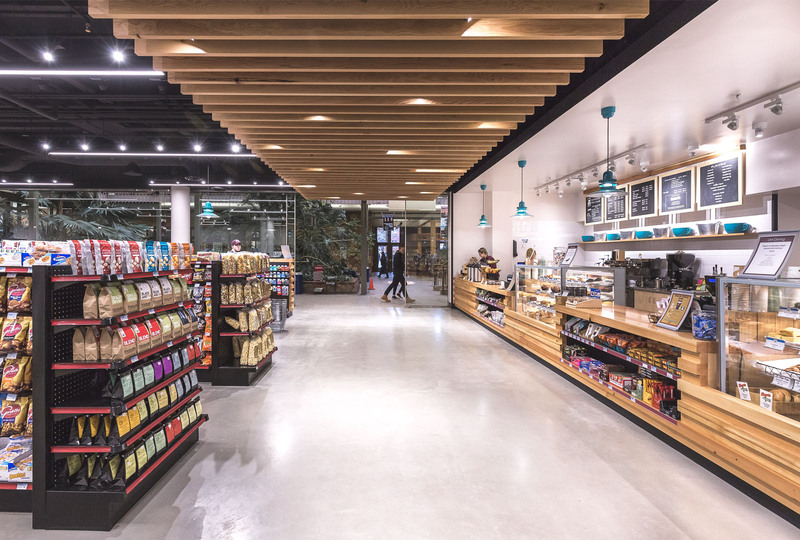 Clear vinyl-based finish was applied to the wood to enhance its durability in this high traffic environment, though the wood is expected to patina with age. We appreciate how the bright brass frames of the reused beverage coolers interact with the warm tones of the reclaimed wood. 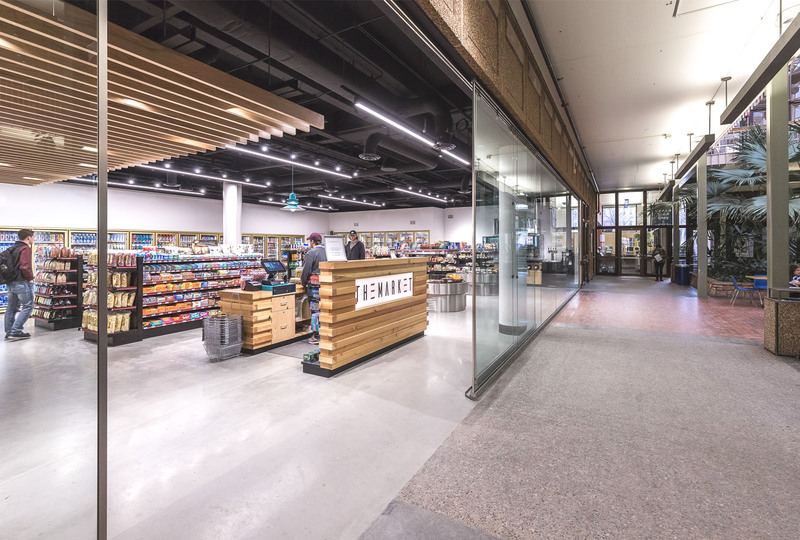 A rapid-set cement epoxy skim coat floor was applied over the existing mishmash of tiles to create a uniform floor surface and enhance the minimal aesthetic. A purity of materials was maintained throughout the project, allowing the brightly colored food and product to be highlighted. 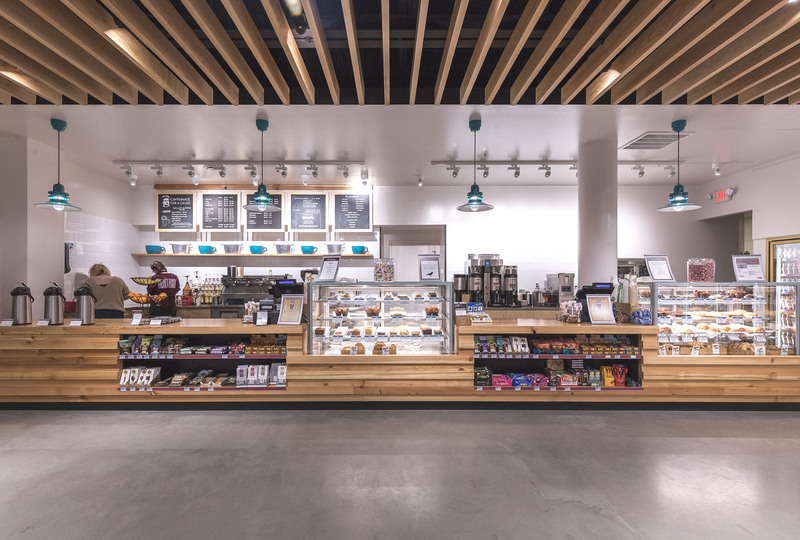 The teal pendant lights add an additional pop of color, calling attention to points of sale. 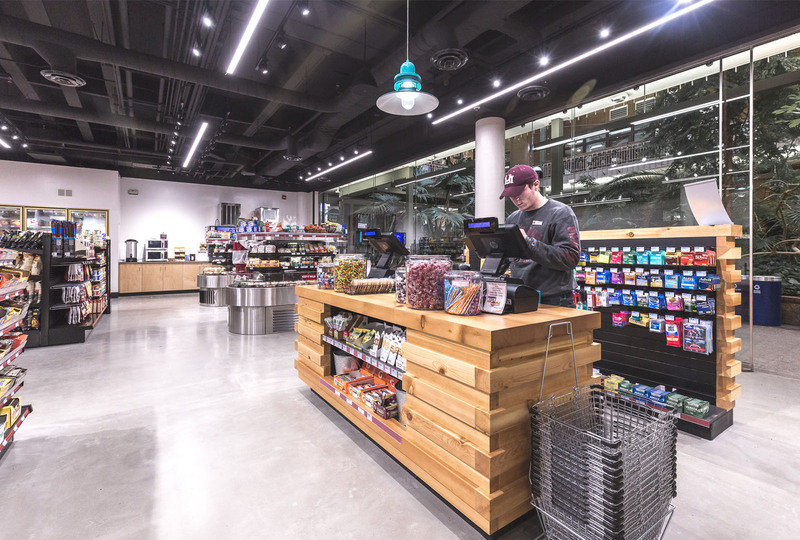 With healthier eating options and a fresh look, the rejuvenated UC Market will continue to nourish the students and faculty of the University of Montana for years to come.